We all know what a nuisance mosquitoes can be. The bite, the bumps, the itching, all a result from an allergic reaction to the mosquito’s saliva. With graduation parties, bbq’s and sitting on the deck enjoying a cold beverage the pesky little buggers can drive the best of us indoors. Removing standing water is a good start to preventing the mosquito life cycle. 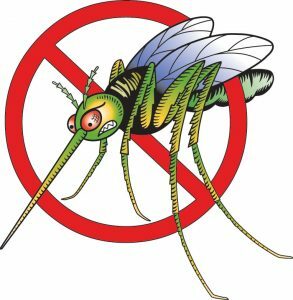 Mosquito dunks can be used in fish ponds, bird baths, rain barrels and other standing water. They are not to be used to treat water intended for human consumption. We have great success with the hose-end Mosquito Beater spray. It is a permethrin based insecticide. Hook it up to the hose, start at the back of the yard and spray the trees, bushes and then the lawn working your way back to the house. I use it about 4 days before I have a gathering and it can last up to 2-weeks.Then on the day of the party I sprinkle a powered mosquito repellent that is mostly natural products. It contains citronella oil, garlic, geranium oil, cedar oil and lemon grass oil. Use it at least an hour or more before the party and it can last up to 3-weeks. It smells nice too. For a topical insect repellent we have another natural product, Swamp Gator. It contains geranoil, soybean oil, peppermint,rosemary, and geranium oil. I use it on Harsen’s Island and love it because it smells pleasant.